Estimated dispatch within 2 working days. 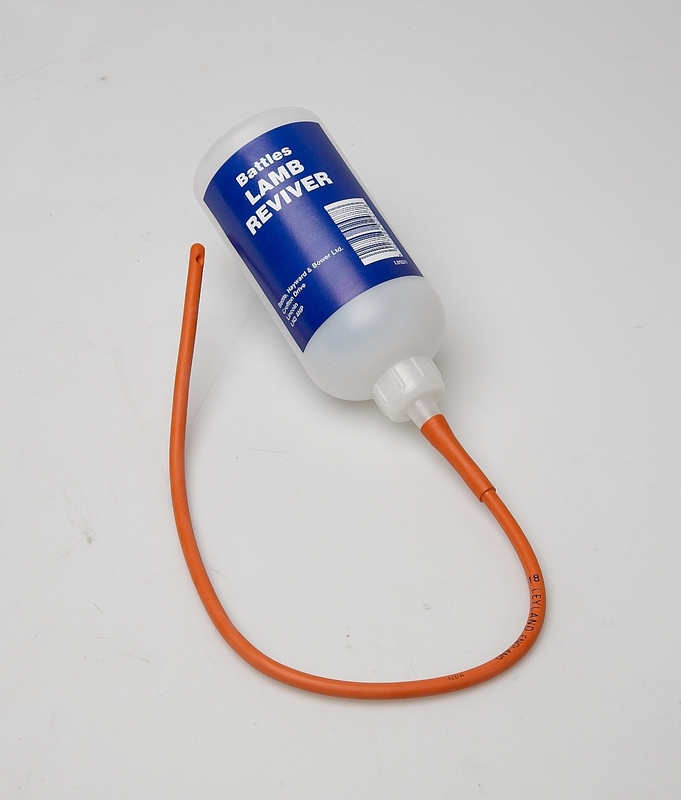 A specially designed dosing bottle and rubber catheter for the dosing of young lambs. All prices include VAT where applicable. How quickly do you deliver? Under almost all products on our website is an Estimated dispatch time, check this for a delivery prediction specific to the item you are looking to purchase. These badges are updated live based on the stock levels we have and also those of our suppliers - so are usually very accurate, but cannot be guaranteed. In more general terms, we aim to dispatch all orders within 1 working day of receiving payment (and a prescription if required). If we cannot do so within 3 working days we will contact you by email. What do you charge for delivery? Prices quoted are for delivery to all parts of mainland UK except certain Scottish postcodes (where the price is higher for items sent by courier. Delivery of food abroad (including Channel Islands, N. Ireland and other islands around the UK) is charged at a higher price and free delivery is not available. Temperature controlled products, such as Insulin, are also not always subject to the standard and/or free delivery options. For full information on our delivery charges, including prices on heavy deliveries to Scotland and abroad, see our delivery information page. We can deliver most items to all around the world, but prices do vary. The majority of light weight orders (less than 1.5kg) can be delivered for a flat rate of £10. For an accurate estimate of the delivery charge, please put the items you require in your basket and use the "Estimate Delivery" system on the shopping basket page (you only need to enter your country and postal/zip code) for a quick quote. For deliveries to the USA you may need to go to the checkout page and enter your full address to get a quote (as some services need your state in order to quote too). For more information on international deliveries, please see our delivery information page. Due to restrictions aerosols can't be sent by Royal Mail. We appreciate your understanding. Some products, such as insulin and frozen food, need to be delivered in insulated packaging to prevent them from getting too warm (or too cold) during transit from us to you. Purchasing any of these items in your order will result in a £1.99 charge being added to the total to cover the high cost of the insulated packaging materials. You only pay the £1.99 once per order, regardless of how many temperature controlled items you purchase in that order. How do I cancel or return an order? Please call us as soon as possible if you need to amend or cancel an order on 01582 842096. If your order has been processed for dispatch we will be unable to cancel or amend the order. You will however be able to return your product for a full refund*. To return an item, you must contact us by phone or email to arrange this BEFORE posting any product back to us. We will explain the process at this stage for you. *For full details on returns, see our terms and conditions page. There are currently no questions for Battles Lamb Reviver Bottle - be the first to ask one! How do I buy prescription medicines? Company no: 7693671, registered in England and Wales. A subsidiary of Pethealth Inc, a Fairfax Company. If you continue to use our website without accepting our cookies we will deem this as acceptance.